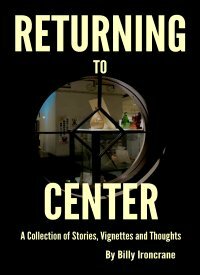 These stories recount the search for a center within. A place of respite from turmoil and uncertainty. A place from where we can make sense and come to terms with all which confronts us. You'll come upon at least one mystic, and many varieties of masters. You'll find some hidden away, and some right there in front of your nose. They might be soldiers, business men, martial artists, drop outs or saviors, or just overworked people trying to cope with reality while reaching for awareness and peace. You'll see how they change, and what changes them, and though not easily expressed in words, you may come to understand why, and how they have such profound impact on who and whatsoever they encounter. or at your favorite outlet. Your purchase supports the continued existence of this website. Warning: Martial arts, like any rigorous course of activity, presents the risk of injury, sometimes serious, disabling, or even fatal. It should only be undertaken under the direct supervision of a Black Belt instructor, and only after you have been cleared by your personal physician.